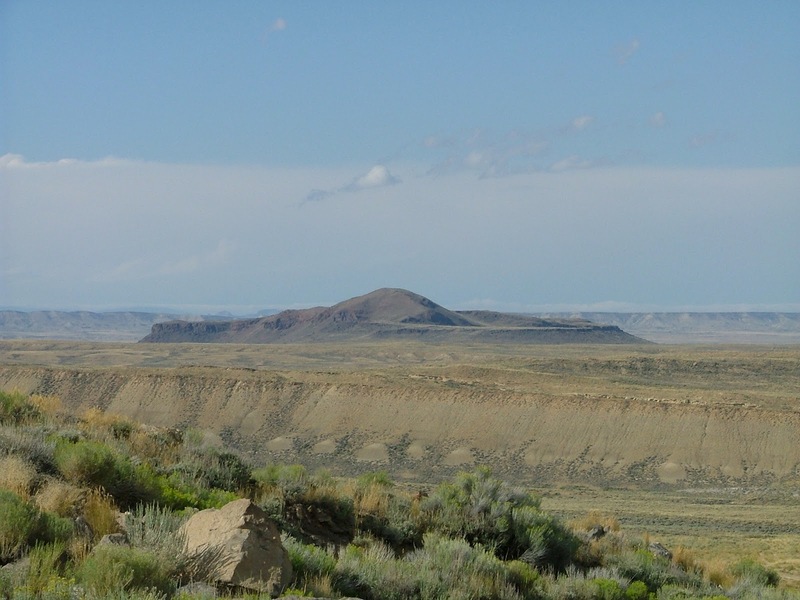 Wyoming's Leucite Hills include a group of rare lamproitic volcanic flows, flow breccias and volcanic necks known as lamproites. These potassium-rich volcanics contain a variety of unusual minerals including gem-quality peridot first recognized in 1997. Microscopic minerals in these rocks include leucite, ricterite, armalcolite, magesiochromite, noonkanbahite, and jadeite to name a few. 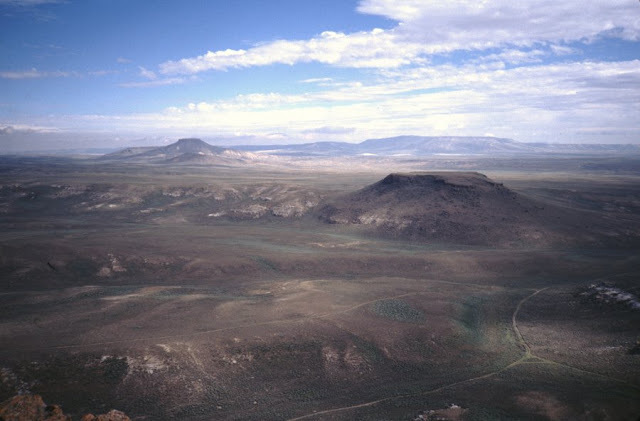 The Leucite Hills north of Rock Springs consist of a group of lamproite flows, dikes, volcaniclastics, scoria, and volcanic necks that contain some of the more unusual minerals found on earth and moon for that matter. Unfortunately, most of these minerals are microscopic. Similar rocks were identified in the East Kimberley, as well as the Noonkanbah and Ellendale volcanic fields in the West Kimberley region of Western Australia. 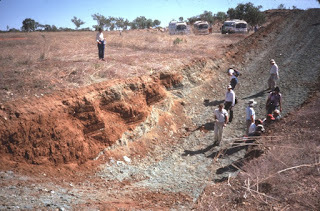 Even though some of these lamproites had been studied and researched in detail, it wasn't until exploration of East Kimberley for a source of placer diamonds reported by gold prospectors in the late 19th century in that region that a rich diamond deposit was found (in 1979) in an olivine lamproite that became known as the Argyle diamond mine. Since then, the Argyle has been a source of many relatively small diamonds including some of the more valuable fancy diamonds ever sold. Some Argyle pinks have now sold for more than US$1 million/carat. 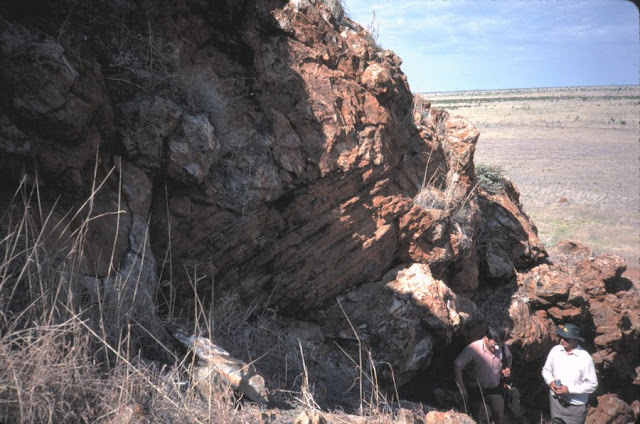 One thing of note was that the Argyle lamproite was olivine-rich and much of the olivine had serpentinized producing a soft rock at the surface that eroded faster than much of the surrounding terrain, thus it hidden under layers of sediment. Later, fancy diamonds were found and mined at the Ellendale lamproite field. Just like the Argyle lamproite, only the olivine rich lamproites in this field in the West Kimberleys contained enough diamond to mine. Again, much of the surface olivine had serpentinized producing a softer rock. 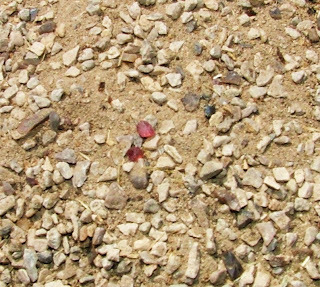 Even though there were several exposed leucite lamproites in this field that stood out as hills and knolls (similar to the Leucite Hills), the diamond-bearing lamproites were hidden under a thin layer of soil. So, could a similar diamond deposit occur in the Leucite Hills? 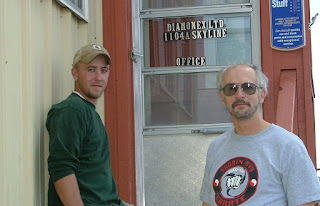 It should be noted that diamonds had already been recovered for decades in olivine lamproite at Murfreesboro, Arkansas. So, it only makes sense to search for similar hidden olivine lamproites in the Leucite Hills of Wyoming and in the lamproite and lamprophyre fields of Montana. Are there hidden diamond-rich pipes in Wyoming and Montana? 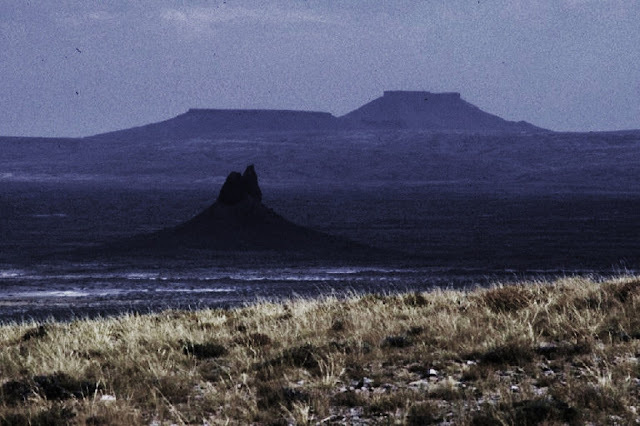 Diamonds were later reported from a kimberlite near the Yellow Water Butte area of Montana - an area I highly recommended for exploration to a couple of mining companies in the past, and later diamonds were discovered at the location. 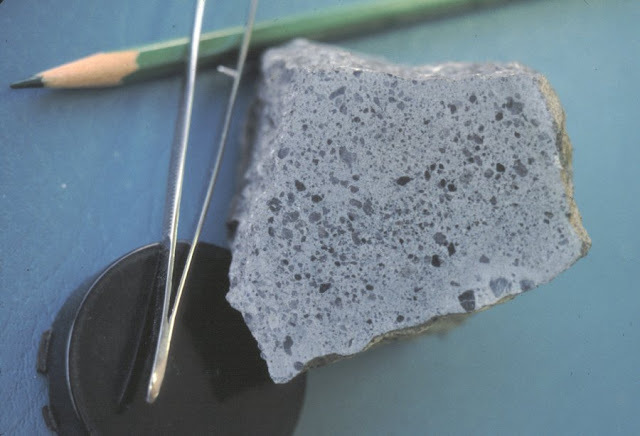 In 1985, I collected a group of hand samples from one lamproite in the Leucite Hills of Wyoming, and these were processed and examined for diamonds using a binocular microscope. 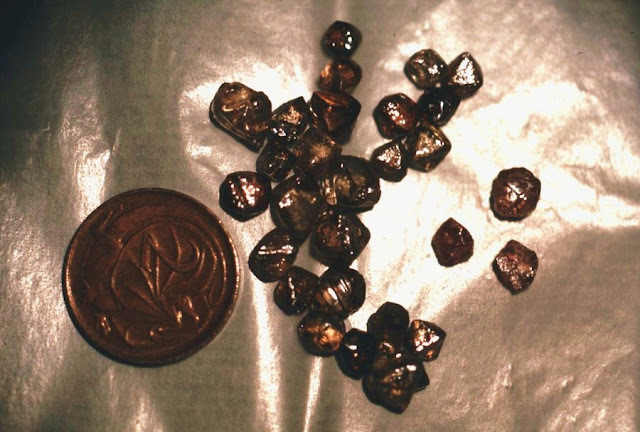 The chances of finding diamonds in such a small sample was very unfavorable (even it they actually occurred in the rock) as large bulk samples measured in tonnes are necessary for diamond testing. I was surprised when we recovered an exceptional, transparent, micro-octahedron with triangular growth platelets on the octahedral surfaces. Wow! Did we have a diamond? Unfortunately, the crystal was so tiny, that I could not measure its hardness with our primitive tools and I could not measure any surface conductivity. So, we had a problem trying to figure out if we actually had recovered a diamond from this lamproite breccia. Luckily, our lab technician knew that the Department of Physics at the University of Wyoming (just a few yards from our building) had an x-ray precession diffractometer. So, we took our tiny crystal to the Physics Department and the mineral turned out to be a transparent spinel rather than a diamond. Bummer! Anyway, I wanted to check to see if there was any possibility of diamonds surviving the hot lavas in the Leucite Hills at the earth's surface. So, I took one of our diamonds and broke it with a hammer and places one of the diamond shards in the flame of a Bunsen burner and after a short time, it exploded. Upon examination of the remains, I found carbon (graphite) had replaced the diamond shard. But the Bunsen Burner flame was very high temperature, so I deduced that diamonds could possibly survive in a hot lamproite magma. So after those experiments, I was off to Australia to examine the lamproites in the Kimberley region of Australia in 1986. 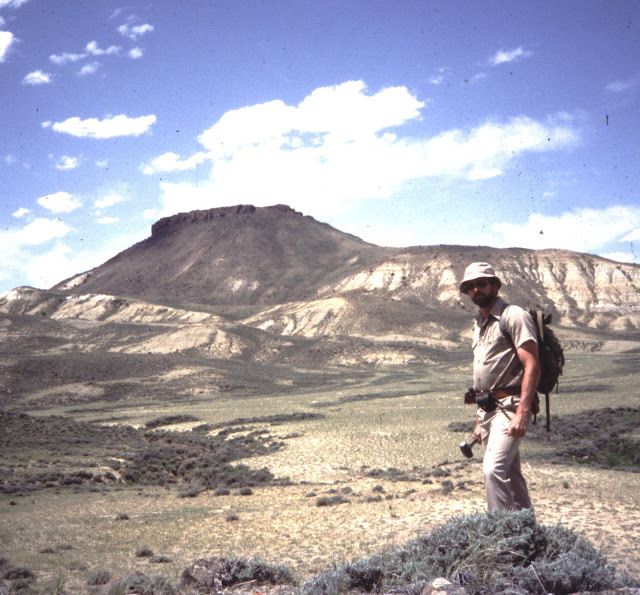 The Leucite Hills were one of my favorite places to visit when I worked at the Wyoming Geological Survey. 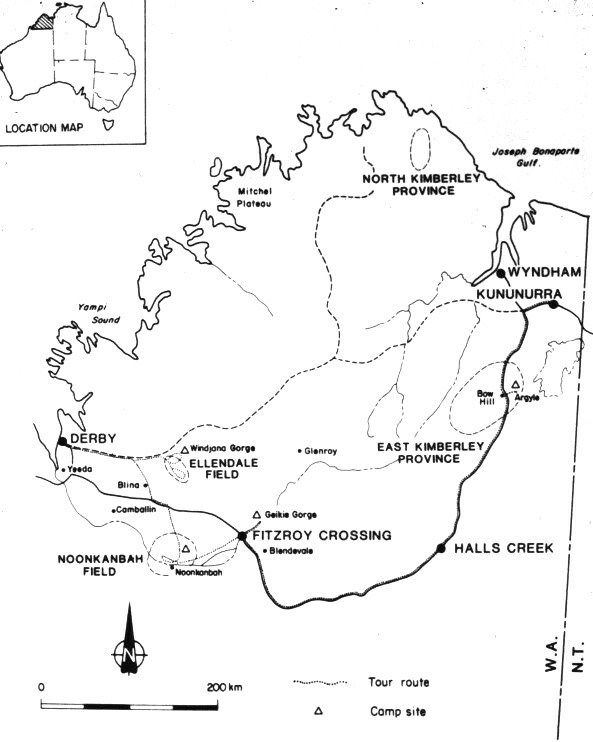 After the discovery of diamonds in lamproites in Australia in the 1980s, the State Geologist -Gary Glass, was able to wrangle some money out of the legislature to visit the diamond deposits in Australia. The Aussie discovery should have sparked much greater diamond interest in Wyoming - particularly since the Aussies opened diamond mines at the Argyle and Ellendale and produced some of the most valuable diamonds (and gemstones) in the world - pink diamonds - some which have sold for many tens of thousands of times more valuable than an equivalent weight in gold! 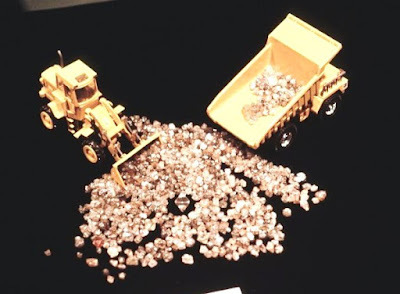 One of the methods used to predict possibilities for diamonds in a lamproite is to test the chemistry of specific minerals found in the rock and then compare the chemistry of these minerals to the chemistry of diamond inclusion minerals (minerals actually found inside of diamond). One particular mineral that is often used is chromite. After processing samples from Endlich Hill in the center of the Leucite Hills, we recovered chromite. 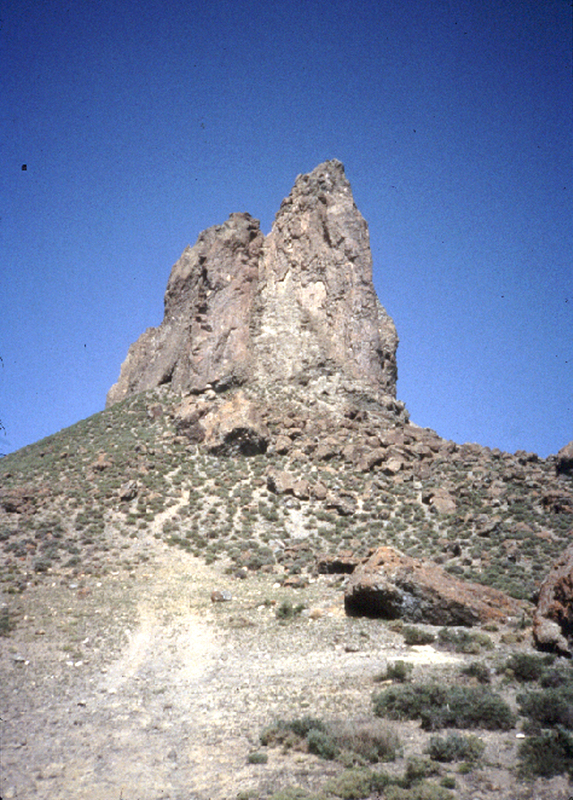 The chromites where tested for geochemistry using the UW microprobe and a few yielded favorable geochemistry indicating that those particular lamproites began their uprise from the mantle at a depth where diamonds were formed. Thus, this suggested to us that the Leucite Hills represented a good target for diamonds. 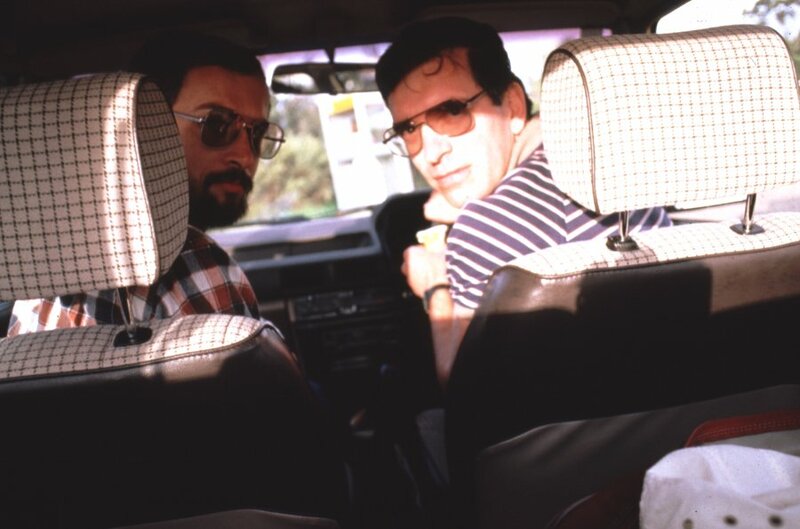 Later, some researchers from the University of Wyoming repeated my results. So, you would think the legislature would provide the Survey with a little extra cash to do some serious testing. However, this is where we ran into problems. First one has to convince the State Geologist to ask for money. Most state geologists are politicians (although I worked for two excellent State Geologists - Dr. Daniel Miller and Gary Glass), one not so good, and the fourth one made Obama and Hillary Clinton look honest. In Wyoming, they have to declare political affiliation. This is a serious problem when considering science: politicians like to modify science to fit agendas - take for instance global warming. 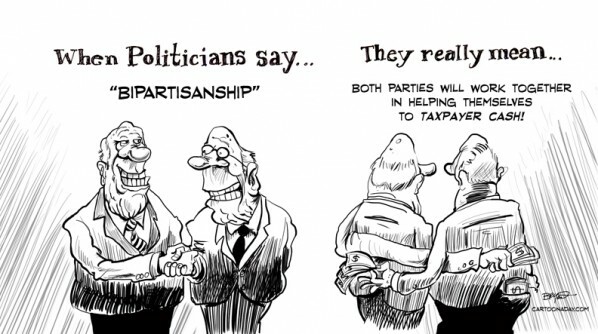 We all know how much we can trust politicians whether republican or democrat. Anyway, one has to be able to convince the state geologist to ask the legislature for special funds for various projects and then the State Geologist must ask the legislator for funds and then hope the governor doesn't cut out the funding. I had no political skills and thus, the project died with no funding. Anyway, one can still visit the Leucite Hills and the Butcherknife Draw area to the southwest and search anthills for pyrope garnet, chromian diopside, peridot and even diamond. At least I hope that's true as the BLM seems to think public land is their land. The Leucite Hills was a beautiful place with some nifty wild horses and few people when I worked in the area. Even though I didn't find any diamonds (I never got a chance to take any bulk samples needed to test for diamonds), I did find a few thousand gem-quality peridot gemstones. Yes, I discovered peridot in the Leucite Hills in 1997. I did this by searching the Leucite Hills for olivine because of the close connection of olivine in lamproites and diamond in lamproites in Australia. All peridot is, it is a gem-quality olivine. But olivine had been known in the Leucite Hills for more than a century and even described by various research geologists. 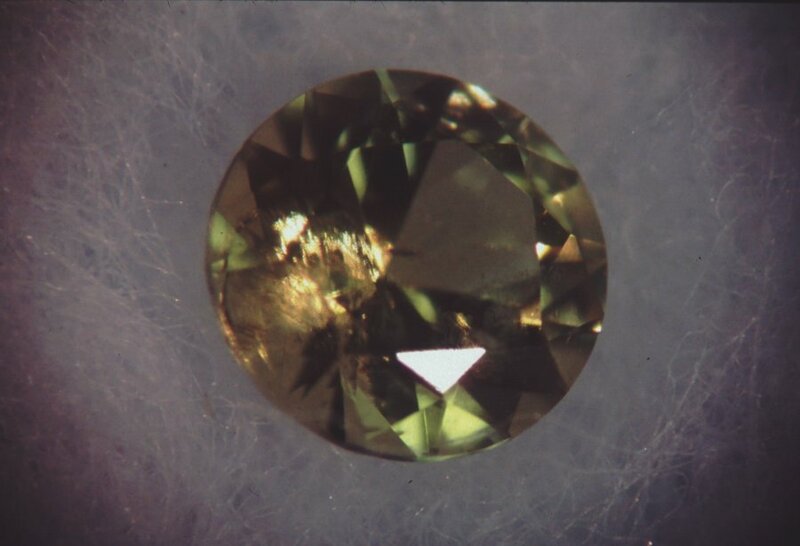 But, using blinders, no one had ever looked at the quality of the olivine and when I found two anthills covered in the olivine, I took them back to the Wyoming Geological Survey to examine the material for diamonds - no diamonds, just a few thousand carats of peridot! 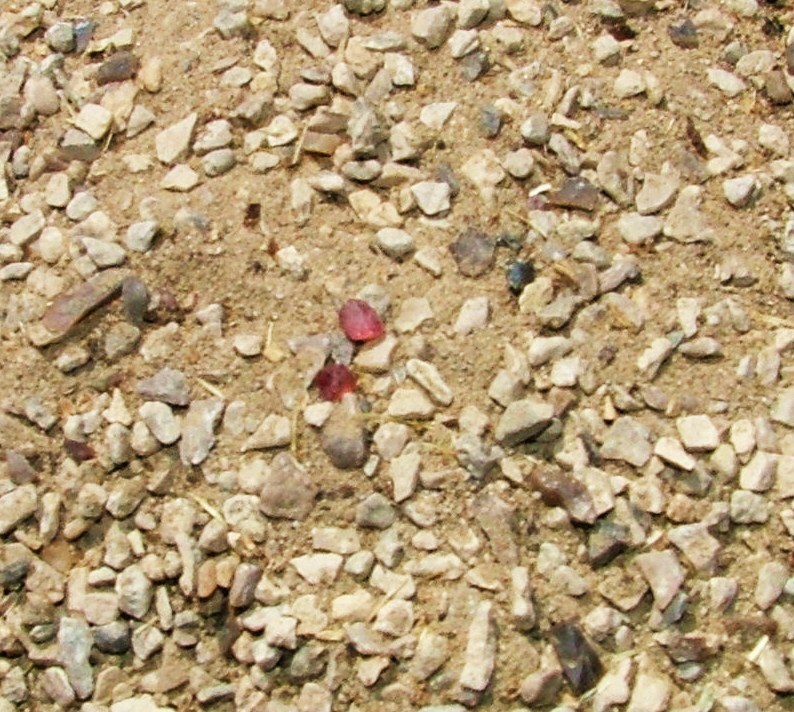 Southwest of the Leucite Hills, many gem-quality pyrope garnets and chromian diopsides were found at Butcherknife Draw and at Cedar Mountain. 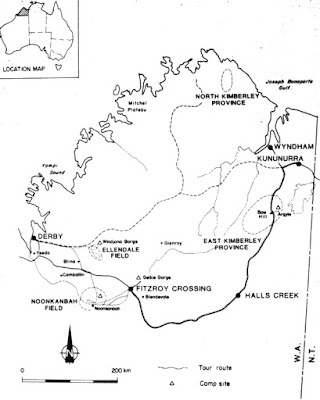 By the way, diamonds were discovered in a group of lamprophyres at Cedar Mountain by a couple of different mining companies and diamonds were also discovered in kimberlites in the State Line district south of Laramie and also in the Iron Mountain kimberlites near Farthing in southeastern Wyoming. 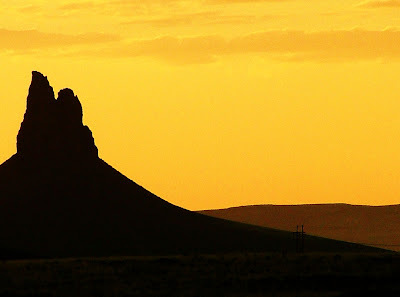 AND, diamonds were later found in a kimberlite in the Yellow Water Butte area in eastern Montana. 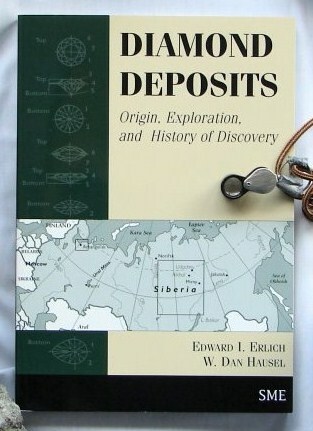 So, are there more diamonds deposits to be found in this region of the US - yes, but it will take someone with money to find most of the deposits. 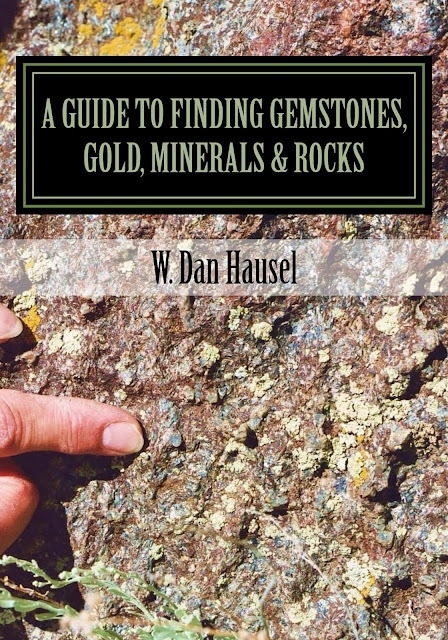 And for now, I'm out looking for gold and gemstones in Arizona and breaking rocks in the east valley of Phoenix. And if you like some of my stories, lies, adventures and other stuff, I have many more blogs on the internet and some books for sale. 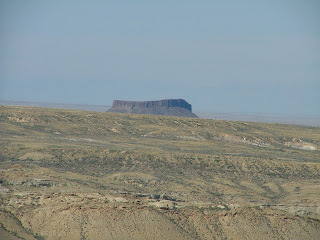 Anyway, I enjoyed my work at the Wyoming Geological Survey and loved to go to work every morning. I had dozens of leads and many more ideas on where to find more gemstones in Wyoming and the western US and I believe I would have found many more diamond, ruby and sapphire, iolite, and gold deposits in Wyoming by now, as I had many areas (based on favorable geology and geochemistry) where some more deposits should be found. And did I know what I was doing? Well, heck yah (at least that's what I'm going to tell you). Actually, there were times I didn't know what I was doing, but I persevered, drank some beer with some prospectors, went out by myself with my tent and 44 magnum and continued to look until I made a discovery and then told everyone I knew exactly what I was doing. Now that's exploration! Mt Gytha, Noonkabob lamproite field, Western Australia. 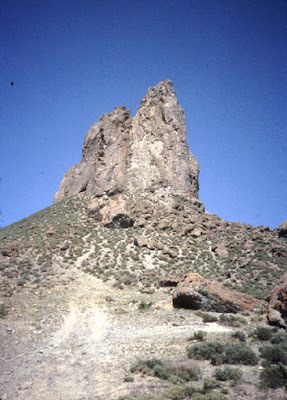 Note the large layered sandstone xenolith in the side of this lamproite volcano. and books, yet nobody ever noticed they were mostly gemstones. A few things I immediately noticed when I visited Australia is their rabbits hop higher and are much larger than Wyoming's - they also spoke a strange dialect of English - but after a few Aussie beers, it didn't matter. 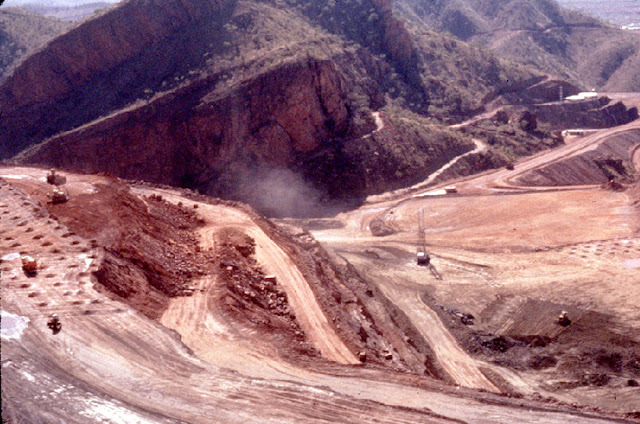 Here is the Argyle diamond mine as it appeared in 1986. It is much deeper now. Olivine lamproite from Black Butte, Wyoming. Note the large olivine crystal in the sample - about 0.4 inch across. 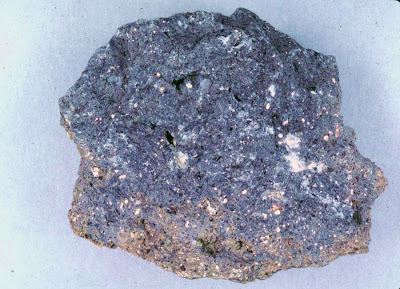 Lamproite scoria from Zirkel Mesa in the Leucite Hills. A diamond in the rough - wild horses in the Leucite Hills. 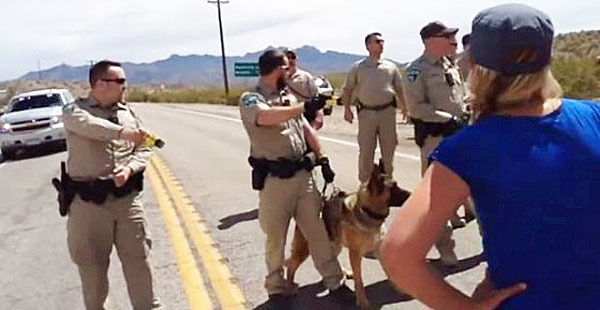 It is tragic, but the BLM has done its best to eradicate these horses. Even still, a few of them survive. Kind of an ugly, uninteresting rock wouldn't you say? When this olivine lamproite was discovered at Argyle, Australia, it yielded some of the richest diamond ore on earth. I collected this particular sample from a zone that had an average grade of 6.8 carats per ton. Badger's teeth lamproite breccia, Leucite Hills. Pegmatitic lamproite from Walgidee Hills, Australia. diamonds in a hidden lamproite pipe(s) in the Leucite Hills? We may never know. with his life. So, why no investigations? Typical leucite lamproite with considerable mica, Leucite Hills. that, if drilled, will likely increase the know gold resource. Below - I'm (standing) at South Pass last year looking for more gold. I'm a geologist that works right next to Leucite Hills (looking at some cinder cones out my window right now). 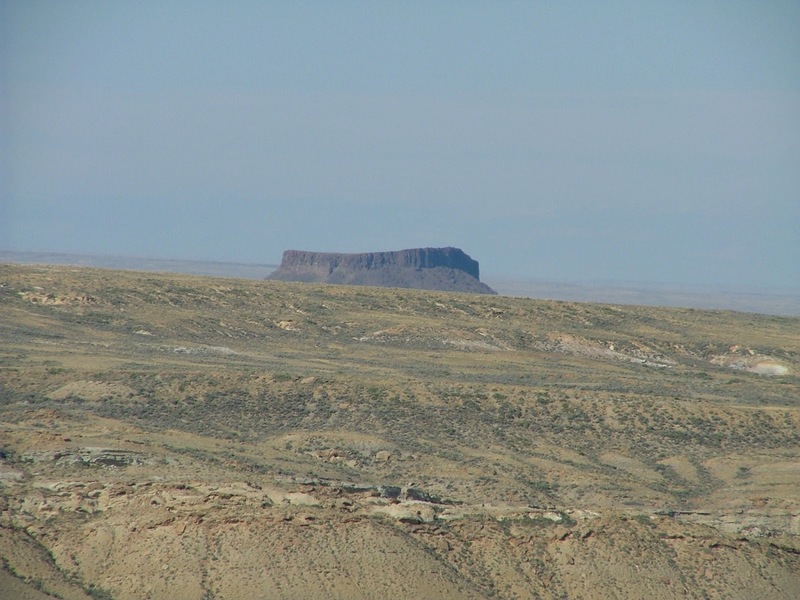 I do a lot of exploration and resource drilling near Black Rock and in Dead Man Wash. I'm planning on going out next spring to explore the area for lamproites/diamonds/peridot with a mine engineer I work with. Just wanted to let you know the area isn't completely forgotten. I'll let you know if we find anything interesting. Any words of wisdom before we start exploring?